Grab your free spin on the Mega Reel! Visit website for full T&C's. 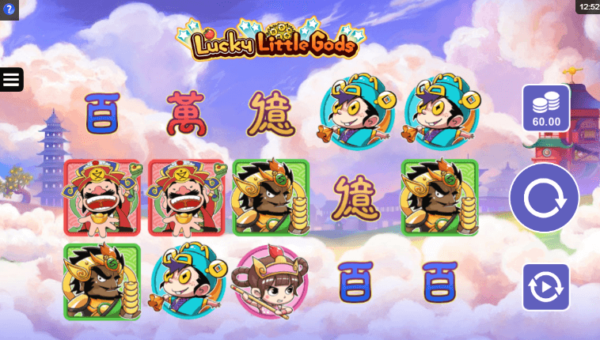 If you’re interested in Chinese mythology, why not get the help of the gods in Microgaming’s Lucky Little Gods Slots. There are 243 ways to win with this game so if you want to know how to get started find out more in our Lucky Little Gods slot review! 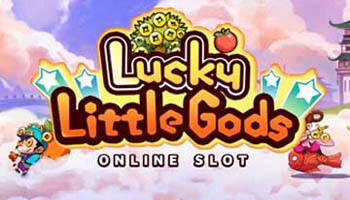 Lucky Little Gods slot is a great game that is available on a few different websites that feature slot games. We recommend that you use popular slot websites Top Dog Slots or Lucky Admiral to get yourself started. If you’re a new player, Lucky Admiral and Top Dog Slots have some great incentives for using their websites above others. If you sign up soon, make sure to claim your free spin on the Mega Reel which could win you some great prizes. The prizes on offer range from 500 free spins to use on certain games to Amazon vouchers! We think that this offer is too great to miss out on and we are sure that the gods will be looking out for you when it comes to that big spin! Lucky Little Gods slot has a few rules that you should know about to ensure you win big. On this game, there are five reels which feature 9 different symbols to maximise your chances. Most symbols require you to spin 3 of a kind but there is one symbol which only needs to match twice to let you win! Prizes are paid out from left to right, except for the scatter symbol which allows you to spread your godly luck all over the board! Your wins will depend on what you have staked so make sure that you bet big to win big! When it comes to the strategy involved in this game, the main things that you need to worry about is your bet size and value. Adjusting these accordingly to what you can afford to bet will mean that you stay in control and win as much as possible! Going for the maximum amount will give you the chance to win a lot but always remember that there is a risk when gambling! Lucky Little Gods slots has loads of bonus features thanks to the Chinese gods of fortune. One of these bonuses is the standard free spins bonus which works as a scatter bonus to increase your chances of winning! Your scatter wins will depend on your how much you stake so remember to keep that in mind! To add even more fun to this game, Microgaming have added a Golden Tree scatter which will win you 1x to 15x your total bet. This is similar to the Treasure Pot Scatter which will win you 20x to 100x your bet! There are also wild cards on the reels to substitute for your favourite symbols and increase your funds! The final bonus feature in this slot is the Little Gods Bonus which can win you 4x to 40x your bet on a single spin! With this game the options for bonuses just keep coming and we love that the little Gods are looking down on you and encouraging you to take home that big prize. The graphics and design of this game suit the theme well. When you open the game, you are transported to a mythical Chinese land and are surrounded by pink clouds. The game seems quite simple to begin with as there are not a lot of options for you to choose from. We love the simplicity of the design and the fierce little gods on the reels! We really like this simple, fun game from Microgaming. We think that it fits well with the types of slots on Lucky Admiral and Top Dog Slots and it has the potential for you to win a lot of money. If you get started now, it won’t be long until you’re raking in those bonus wins!